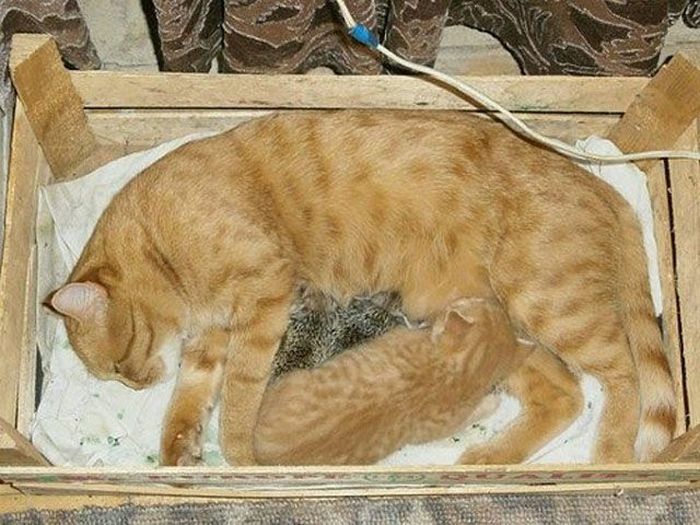 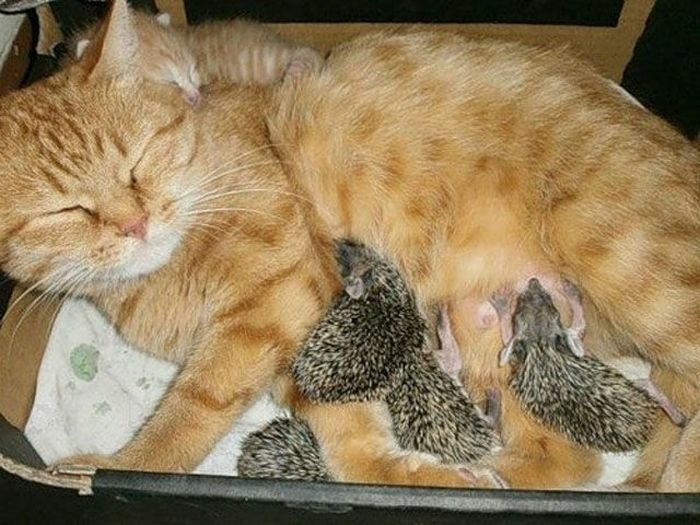 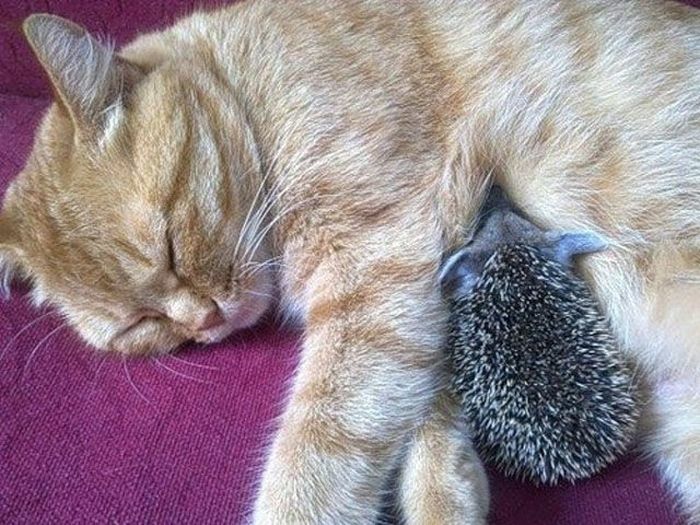 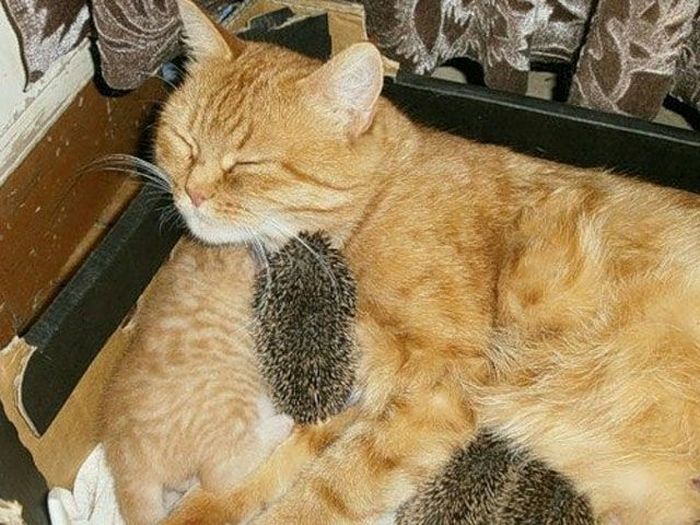 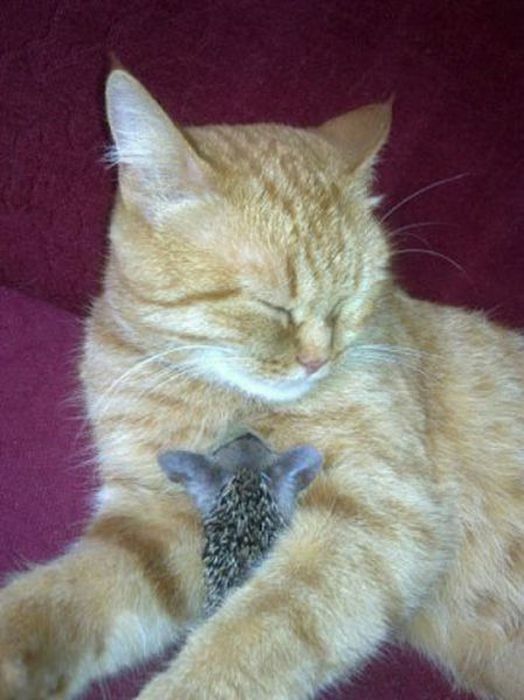 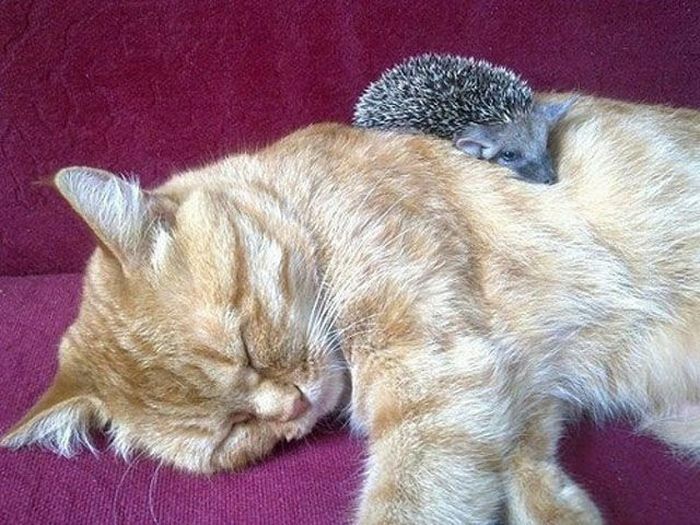 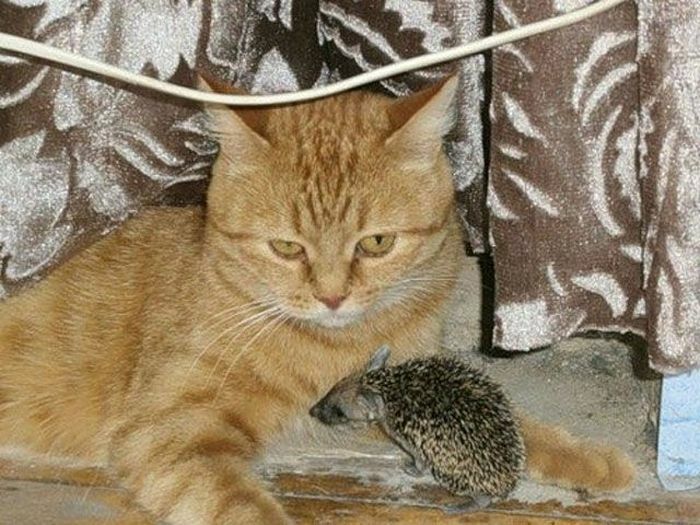 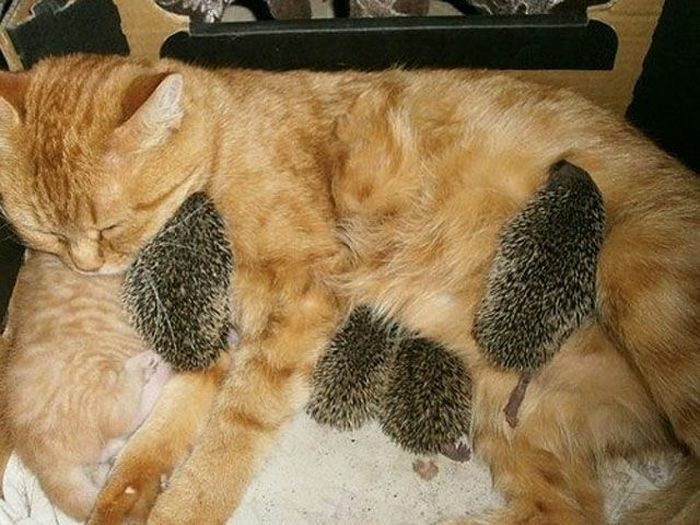 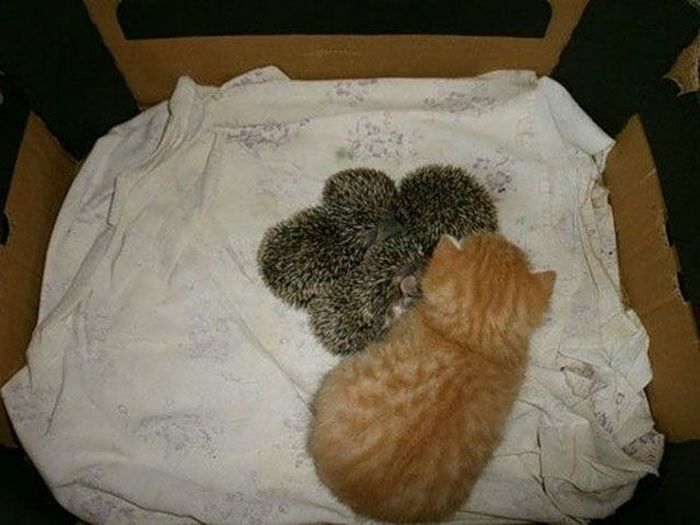 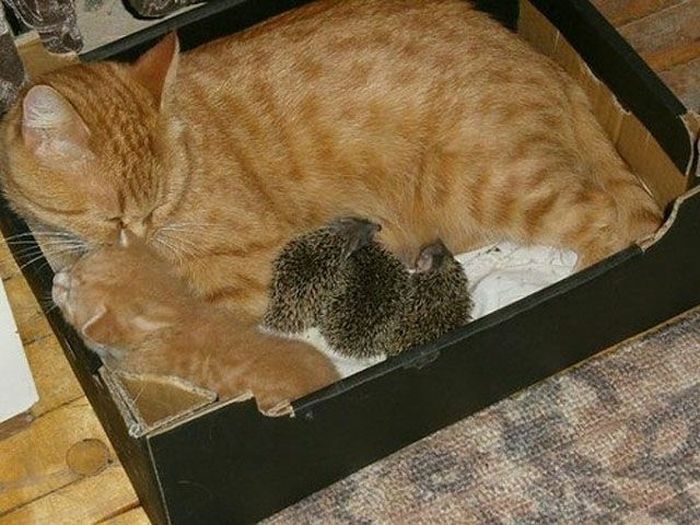 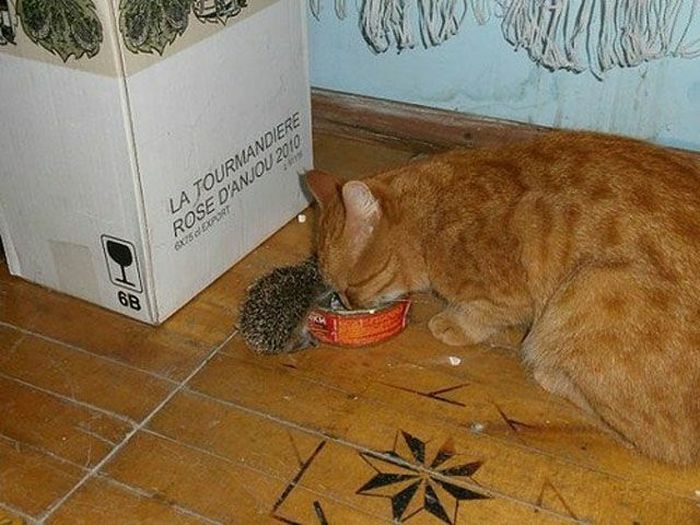 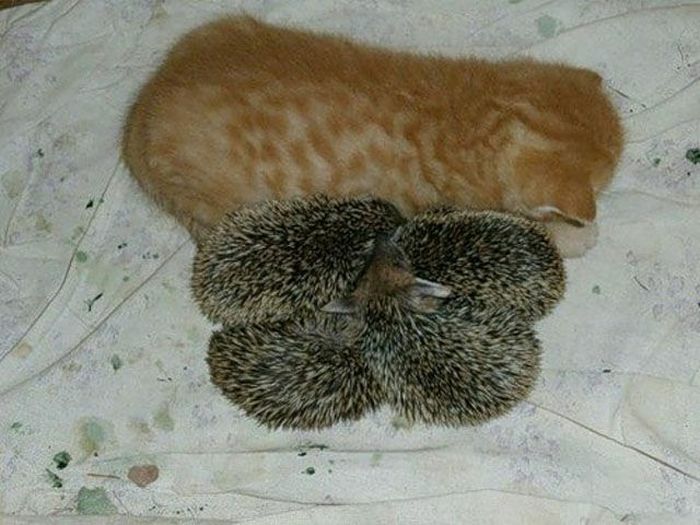 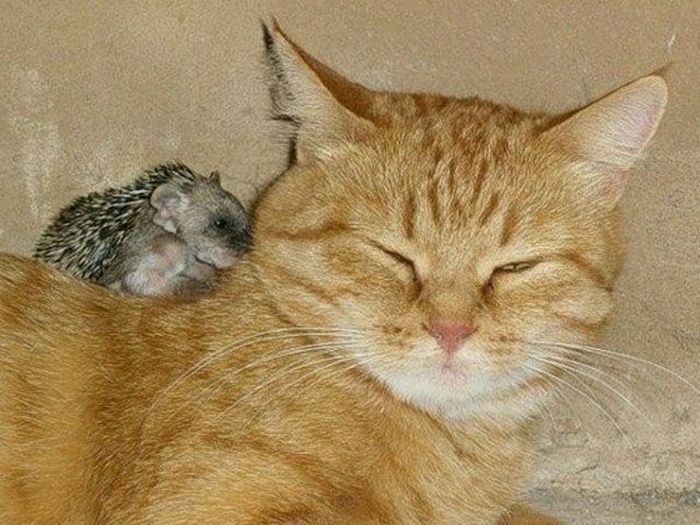 This cat adopted orphaned baby hedgehogs feeding and nurturing them as if they were her own. 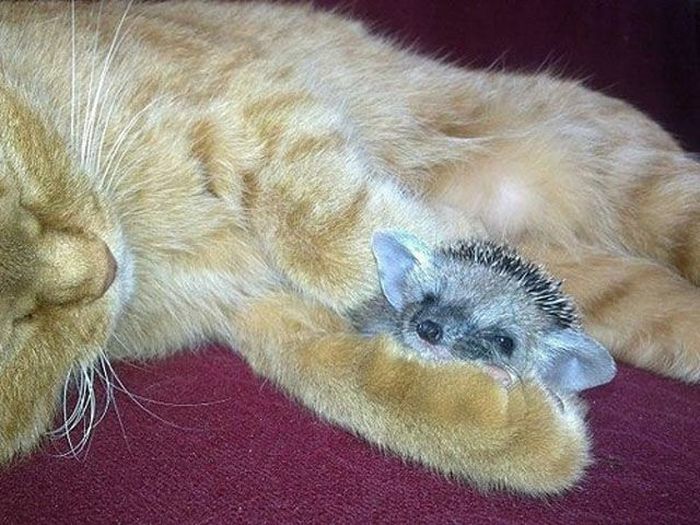 I've had Hedge Hogs as pets before .... 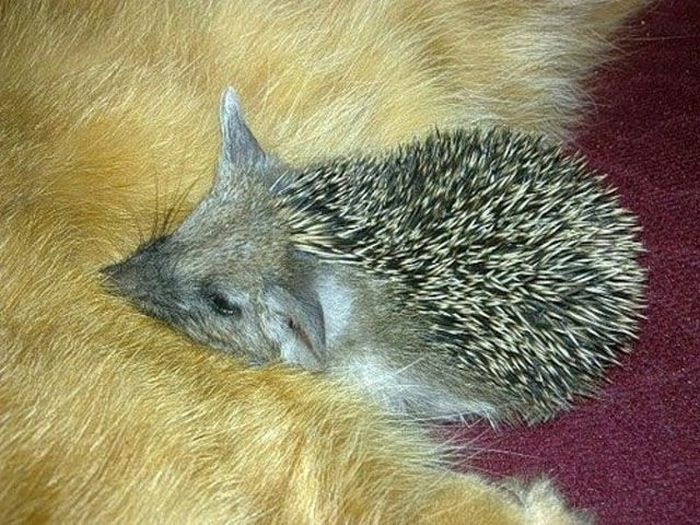 They make awesome pets. 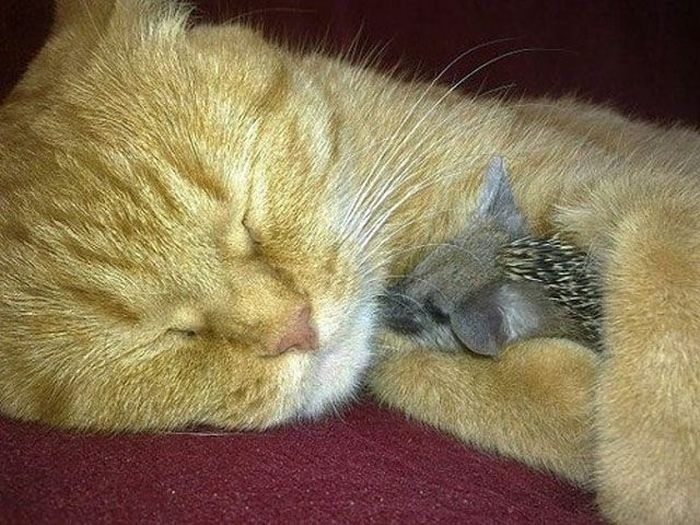 this is really cute. 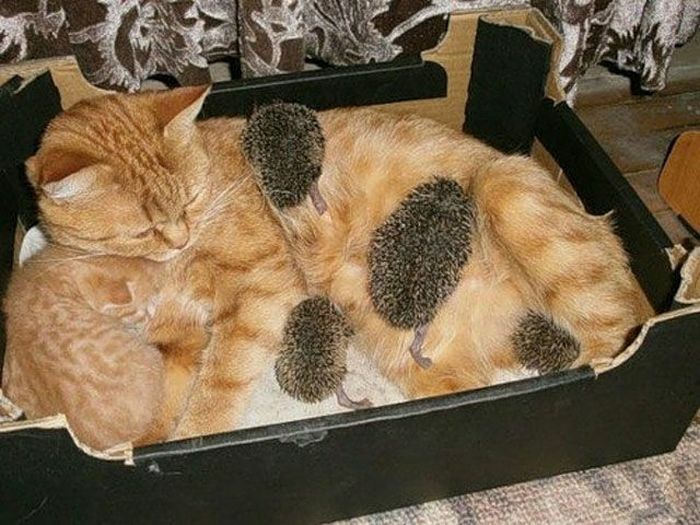 I wonder what happened to the mommy of those little hedgehogs?